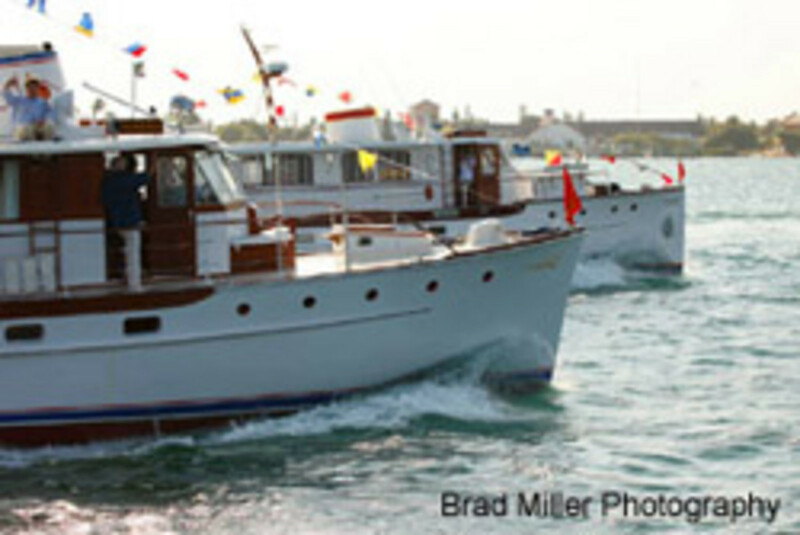 The results are in and the 1939 Trumpy yacht Washingtonian, with her narrow pre-World War II hull, easily pulled away from the 1947 Aurora II in the first Great Trumpy Race. The race, held last weekend, involved two laps for a total of six miles on the Intracoastal Waterway off Riviera Beach, Fla.
"These boats were never designed for speed, but to move elegantly and leisurely through the water. But the question was whether the prewar boat is faster than the postwar boat. A lot of times, people think newer is better, but in this case it turned out to be the other way around," James Moores, owner of Aurora II, said in a statement. The first Great Trumpy Race was part of Moores Marine&apos;s celebration of 25 years in business restoring antique and classic wooden yachts, but it could turn into an annual event, he said. Washingtonian and Aurora II weren&apos;t the only wooden beauties in the water on race day. 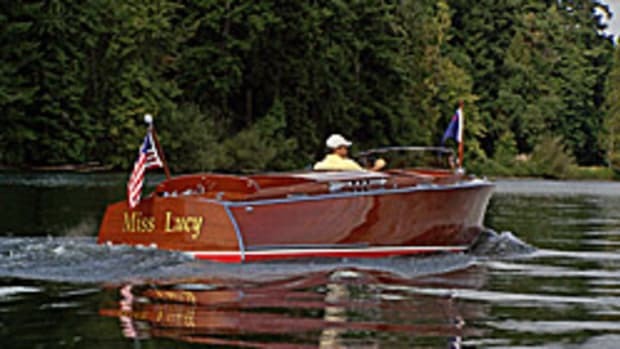 The Trumpy America, owned by Theodore Conklin of Palm Beach and Sag Harbor, N.Y., served as the committee boat, and the Rybovich Sam V, owned by Bob and Betsy Melton of Palm Beach Gardens, was the chase boat. "Everyone was a winner. It was a great time," Paul Berger, owner of the Washingtonian, said in a statement.